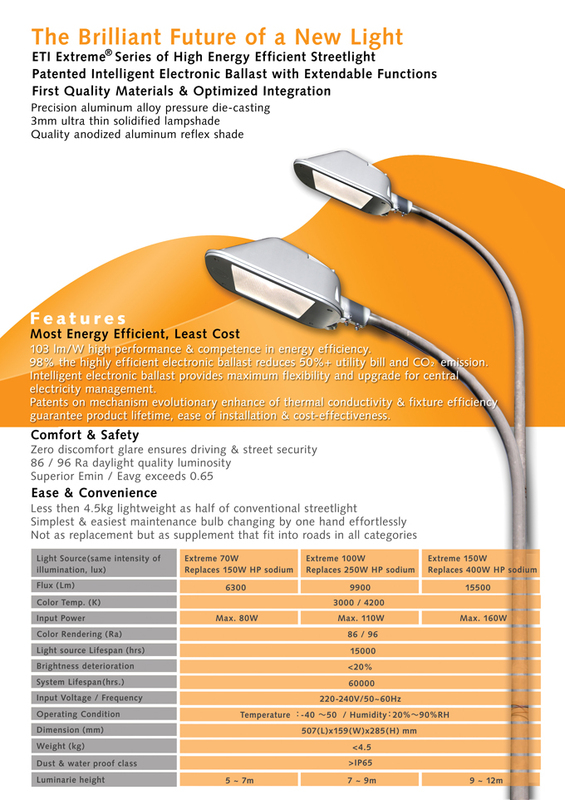 103 Lm/W high performance & competence in energy efficiency. 98% the highly efficient electronic ballast reduces 80%+ utility bill and CO²e. Intelligent electronic ballast provides maximum flexibility and upgrade for central electricity management. 96 Ra daylight quality luminosity. Less then 4 kg. Smaller, lighter, and easier for delivery and installation.